✔ The most important soft skill was the ability to solve problems, with 62% of recruiters seeking people who can find solutions. 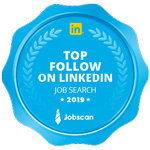 ✔ Indeed’s Director of Recruiting, Mike Steinerd, identified “acting as a team player” and “effective communication” as top ranked soft skills. How do you demonstrate these skills in an interview? Before your interview, read the job description really carefully for pain points. When you are asked interview questions where you could demonstrate team work or adaptability, the key is to not just say, “I’m a team player”, but provide the proof through specific examples and story telling to demonstrate to the Hiring Manager that you have the personality traits that they are seeking.